Postboxed is a free app to find postboxes near you, searching over 180,000 postboxes from across the UK, Germany, France, Canada, USA and many more. We have over 180,000 postboxes from across the UK, Germany, France, Canada, USA and many more. Our data comes from the wonderful guys over at Open Streetmaps and a detailed set from Matthew Somerville for the UK. 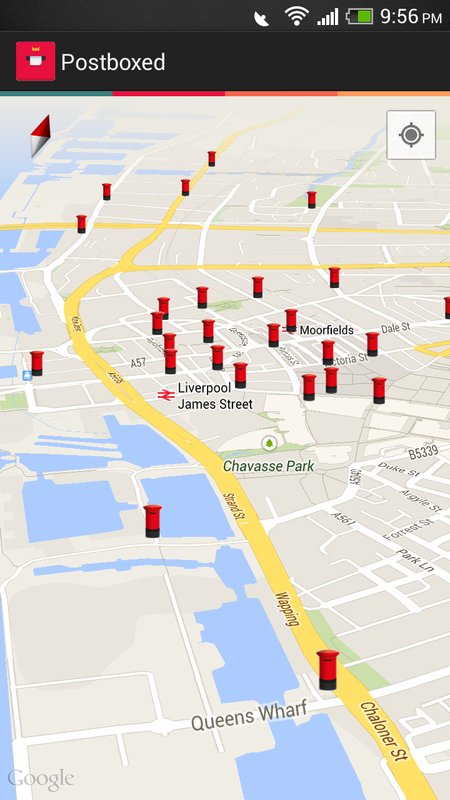 We're adding new postboxes every month and on the look out for other sources of data, to cover the rest of the world. Your phone looks gorgeous, so why shouldn't finding postboxes look so too! Postboxed looks right at home in the latest version of Android. Open Postboxed and we'll show you the postboxes near to your location. All without lifting a finger. 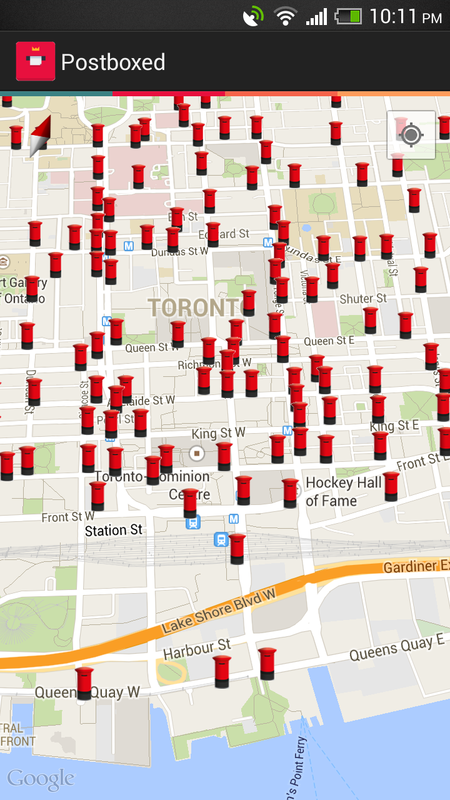 If you want to lift a finger, tap a postbox to get its last collection times. Completely and utterly Free. Not a penny, not an advert. Why? I enjoy making things. 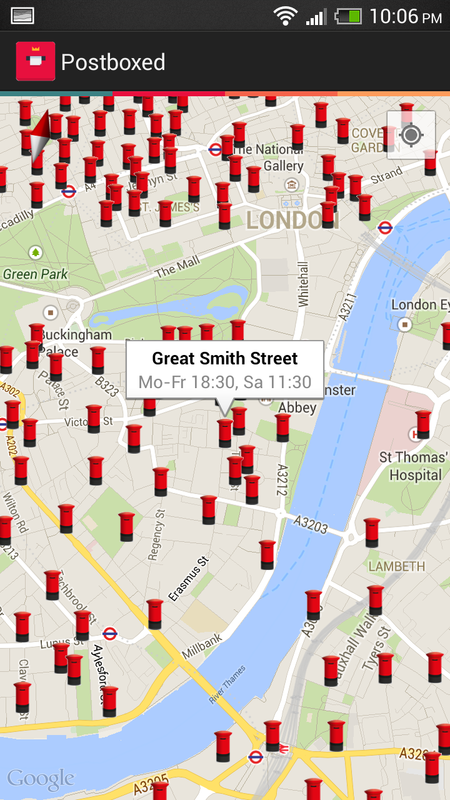 Just open the app and it will show postboxes nearby. Scroll around to find more.